And this Fae creature here is definitely upside-down because she’s saying “Shhh”, when she should be saying: “Tell All Your Friends about the Changeling: The Lost 2nd Edition Kickstarter!”. All those folks in the fancy suits could be pledging! Yes, I’m being a bit silly here, but we are down to the last few days of this awesome Kickstarter and we want to be sure that everybody who needs to hear about it, has. Because, I guarantee that the very first KS message we get after the KS is over will be from somebody who didn’t hear about it, and who wants to pledge. After Dark Eras 2, I got that kind of message less than one minute after it closed! So, please do what you can do as well – thanks! I note down there, way at the end of the blog in the Reason to Celebrate, that this coming week is our last full work week of the year at Onyx Path. We’ll meet as usual next Monday, but then folks are dispersing for the holidays. We’ll be back January 2nd, and we’ll still have something on sale each Wednesday, and backer Updates and all that sort of monthly stuff, we’re just setting all those up in advance. Of course, our many, many, talented freelance creators will still be creating away, anyway! I used to get tons of freelance art done over the holidays from the regular job, and I’m sure they all will too. As we’ve mentioned before, and noted during its Kickstarter, Scion 2nd is kind of a big deal for us. It’s the first of our games powered by the StoryPath System, and also the first to take the hits and subsequent delays as that system was trial-tested. Nasty Neall Raemonn Price would have delivered the books months ago if he had an existing system to lay Scion 2nd‘s elegant mantling of mythological depth over top of. Or even a system just for Scion‘s own use. But he, more than almost anyone, recognized the importance of getting our “house system” right, and has hammered away at getting it where it needs to be. For the good of Scion 2nd, but also for the Trinity Continuum, They Came From Beneath the Sea!, and [whoops, almost wrote that out] uh, other games in the future. Now, though, we have added Fast Eddy Webb in as our StoryPath System guru, and right now he is reading through Scion: Hero‘s final text and I’m reading through the final, final Scion: Origin text before it goes to editing. Which is why I mention this, because our progress reports don’t really show all the effort, the added talents, the half-stages, the reviews and rewrites, that go into making one of our books. Speaking of massive efforts, and you’re going to hear more about this with the new year and our Trinity Continuum Kickstarter, but if Scion 2nd was the trailblazer for our system, then the TC has been the test case that proves that it is flexible and robust enough to power the game-play of a very different universe. 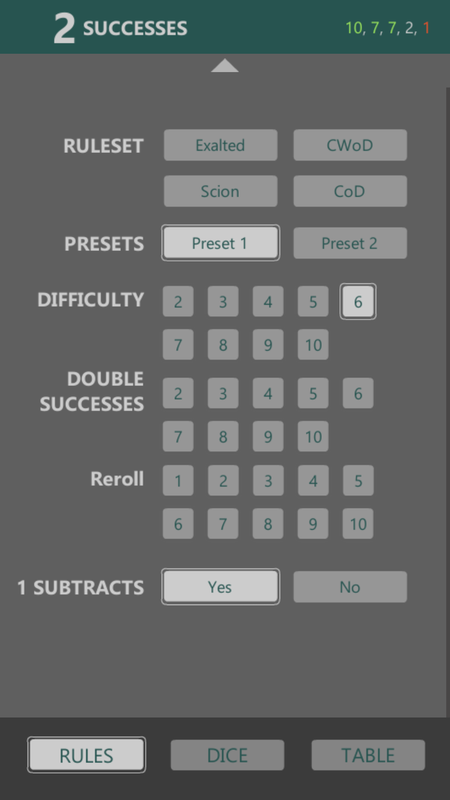 Not that rebooting a classic game line is ever easy, but Ian Watson, John Snead, Danielle Lauzon, and all the Trinity Continuum creative teams, have done amazing work with taking the best parts of the original games and then adding our new system as it was being finalized. As above, Eddy is also reading through the text right now with an eye towards making sure the setting and system work hand-in-hand. We’re not expecting huge problems with any of the text, but we’re also not going to go live with the Kickstarter until it gets our stamps of approval. As I have mentioned, pretty much all year and I hope that I’m not boring you all with this refrain, we’ve been re-configuring our “corporate” efforts to provide more support to our delightful freelance developers. Rollickin’ Rose Bailey has been working with Dapper Dave Brookshaw to help him with his projects after some unexpectedly crappy real life events. Rose helped Dave bring on an additional developer for Deviant: The Renegades to help bring this very different Chronicles of Darkness core line to the writing stage, and that provided some needed creative and logistic space that opened up for Dave the chance to concentrate on Mage: The Awakening 2nd again. Which led to Dave and Rose now currently reviewing the text for Signs of Sorcery, and it sounds like they are really happy with most of it and have a battle plan for resolving any other bits that might need reworking. We had several strategy sessions with Satyr Phil Brucato, and we agreed to push several of the M20 Kickstarter Stretch Goal projects forward while he concentrated on Book of the Fallen, and Gods and Monsters. 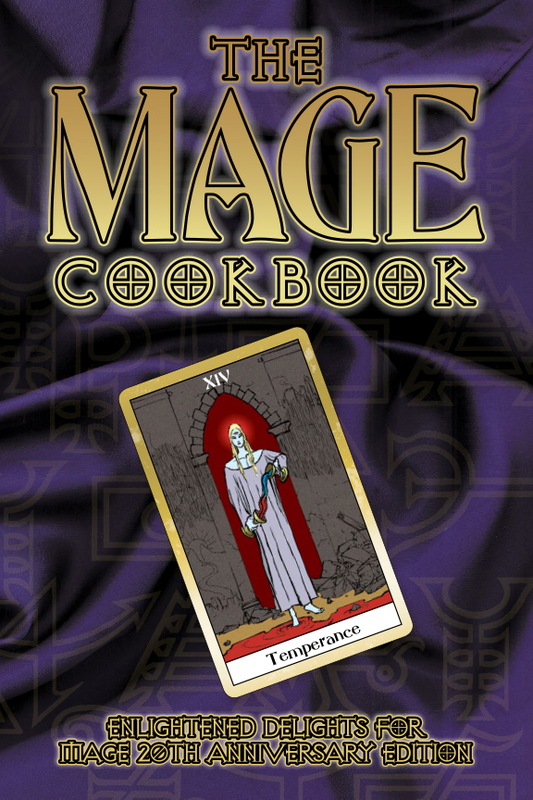 Hence, the M20 Art of Mage book that was released a month or so ago, and the M20 Cookbook coming out this week. 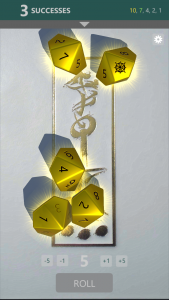 While Rose has been mainly focusing on helping our Chronicles of Darkness, and Exalted 3rd, creative teams, Eddy Webb’s new full-time position also includes doing a similar thing for our other game lines, including the World of Darkness games, and in this case, M20. 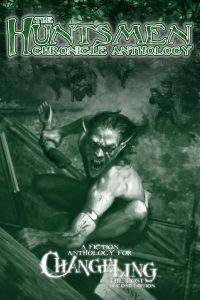 Eddy is working with Satyr Phil to dovetail M20‘s creative process into Onyx Path‘s production process, and so you see the beginning of M20 Technocracy Reloaded‘s writing process getting started, while Eddy’s also helping Phil with finalizing the text for Gods and Monsters and Book of the Fallen. No problems here. 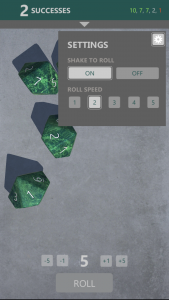 Things are actually going really well, although I will say that even a developer who has worked on other books like Matthew Dawkins can be amazed at how different creating and developing a new game-line can be. He tells me. But I do want to point out that this game is really weird and different, even for us. Check out this first blog post: http://theonyxpath.com/pets-and-circus-clowns-they-came-from-beneath-the-sea/ I mean, what’s the deal with the clowns? We’re into the measurement of hours now for our KS campaign! 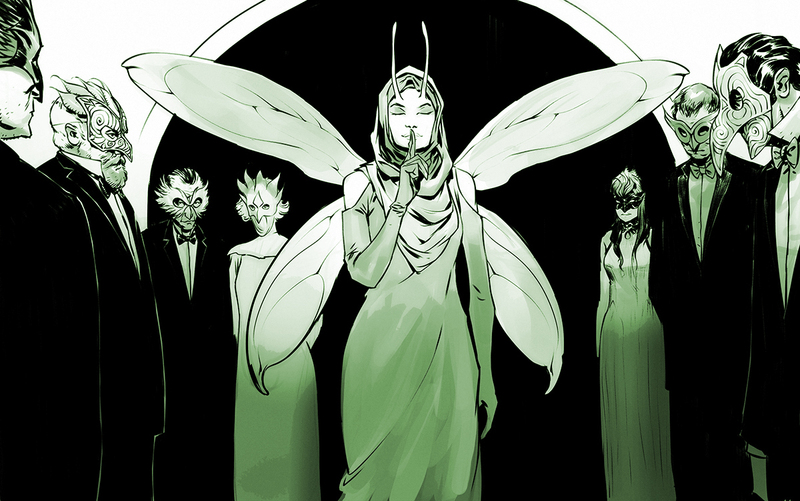 Our story so far: We funded in about a day, and have already blown through 18 Stretch Goals! 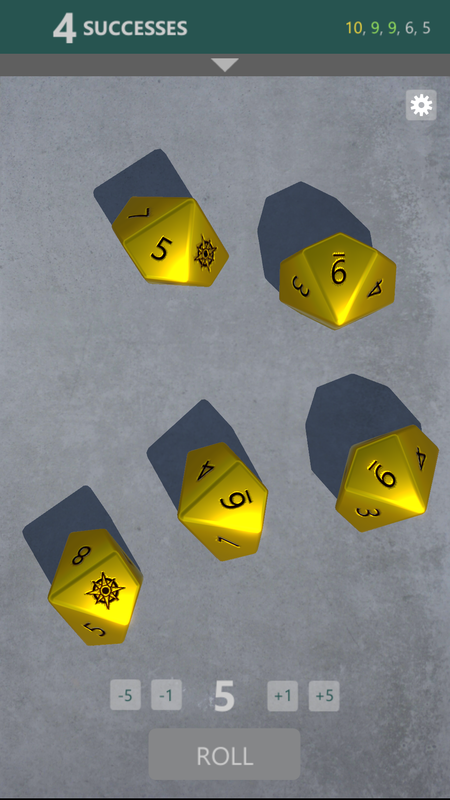 The goals include four novellas: Autumn, Winter, Spring, and Summer, an art budget increase, a CtL2 Jumpstart, a new virtual CtL2 dice set added to the Onyx Path Dice App, three new sections for the Kith and Kin book that we’re calling the Book of Kiths, the first sections for the CtL2 Companion: Entitlements, Freeholds, and Courts, we added another 4 PDFs to our CtL 1st Edition PDF reward, and we’re headed rapidly towards adding another section, Shields, to the Kith and Kin book. With many more Stretch Goal rewards to come! We’ve also revealed excerpts with notes from the developers, and ALL of the book text has been shown to backers so far. Come along now as we hit the final days of this year and this Kickstarter! Arriving at DTRPG.com this Wednesday, and soon to your tables: The M20 Mage Cookbook! M20 The Technocracy Reloaded (Mage: the Ascension 20th Anniversary Edition) – see note above. They Came From Beneath the Sea! 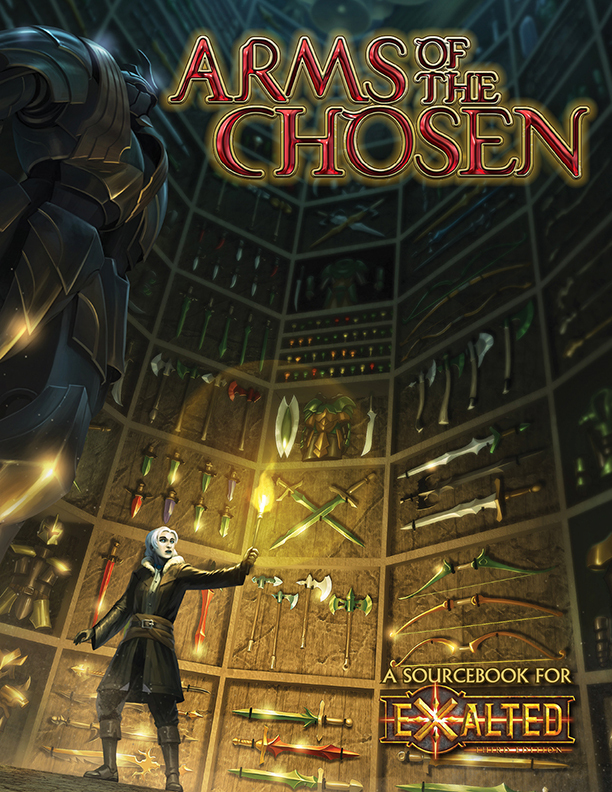 Rulebook (TCFBtS!) – see note above. 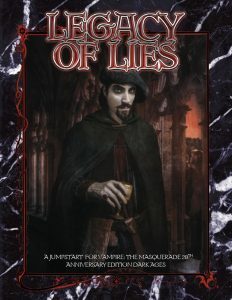 Signs of Sorcery (Mage: the Awakening Second Edition) – see note above. Scion: Origin (Scion 2nd Edition) – see note above. Scion: Hero (Scion 2nd Edition) – ditto. Trinity Continuum Core Rulebook (The Trinity Continuum) – ditto for me, too. Trinity Continuum: Aeon Rulebook (The Trinity Continuum) – splunge! and see note above. Ring of Spiragos – Got Rich’s cover in. Pugmire – Pan’s Explorer’s Guide (or whatever) – Syme is doing the splats. Boggans – Reviewing art notes and figuring out the art buy. 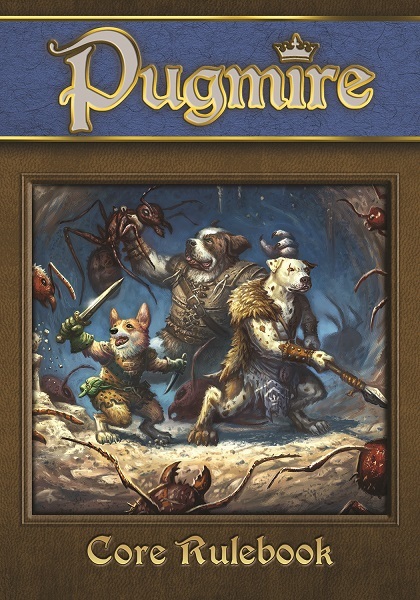 Pugmire Fetch Quest – Playtesting samples uploading to order in time for MidWinter. W20 Changing Ways – Second proof. Prince’s Gambit – At WW for approval. M20 Cookbook – On sale on Wednesday on DTRPG.com. See note above! V20 Beckett’s Jyhad Diary– PoD proofs ordered. C20 Ready Made Characters – Errata fixing. Ex 3 Arms of the Chosen – Errata fixing. Pentex Indoctrination Manual – Ended Backer PDF errata gathering. VtR Half Damned – Out and errata gathering. TODAY’S REASON TO CELEBRATE: This is our last full work week for Onyx Path, this year! That was a lot to absorb but definitely a worthwhile read. Glad to see things are moving along with Scion. I drop by periodically and it seems like a total s***storm in the comments section. I, for one, have complete faith in it being a quality product based on previous projects. I have plenty of other stories to tell so I’m not sweating the fact it’s taking longer than hoped for. Excited for the Scarred Lands Community Content. 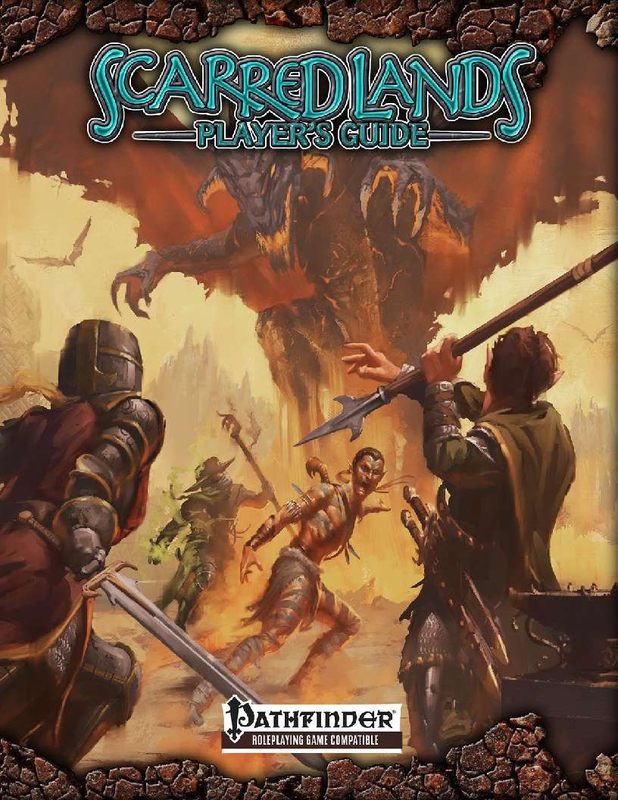 WotC really let me down limiting their DM’s Guild to Forgotten Realms (and, eventually, Ravenloft). I’m new to Scarn but it’s already proven itself to be a rich and engaging setting. The CofD Contagion Chronicle is probably the biggest piece of news for me. 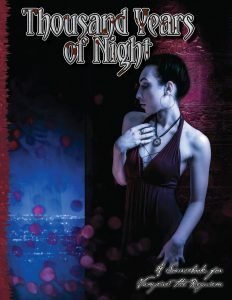 The shadows are crowded in my world and the things that go bump in the night generally are bumping into each other, too. Glad to have a dedicated crossover book!! 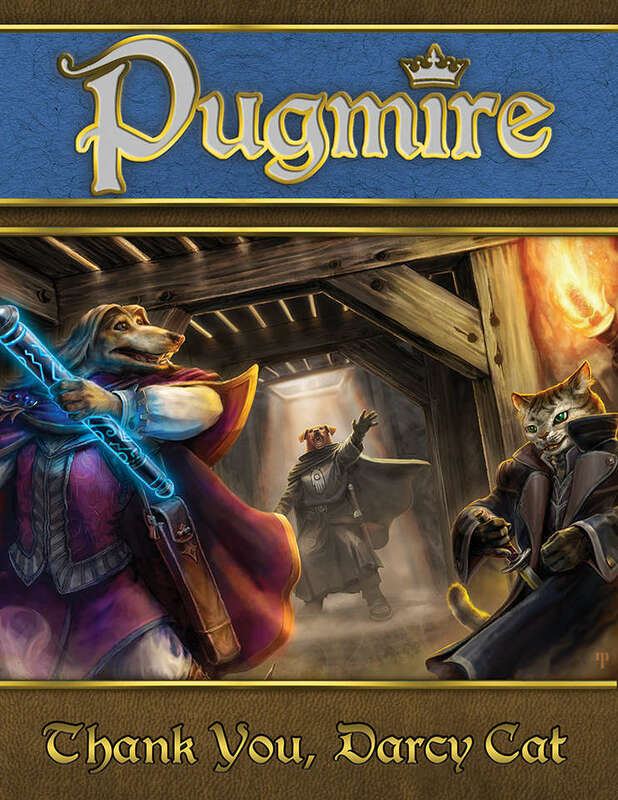 For the community content, we’re pushing Canis Minor, the Pugmire community content program, and will follow up with Scarred Lands’ version. Speaking of which, any thoughts on a name for the Scarred Lands’ program? Will there be a content creator program for the Chronicles of Darkness as well? That’s a question for White Wolf, as they own the Chronicles of Darkness and get to decide on things like that. I’m still a little confused. Is the Book of Kiths the same thing as the Changeling Companion? I know that both of them are getting extra content from stretch goals, but I’m unclear on how that whole thing is set up so doing a post explaining how that whole thing works and what content we should expect to be in what book and which add ons we need would help me feel much better about spending money on this KS. 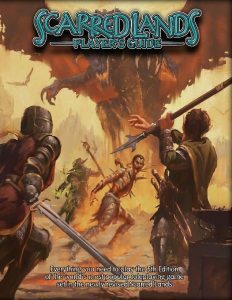 I know you’ve had posts about add ons and stretch goals in general, but there hasn’t really been much specifically about the Book of Kiths and the Companion. And I’m confused. They are two separate books. 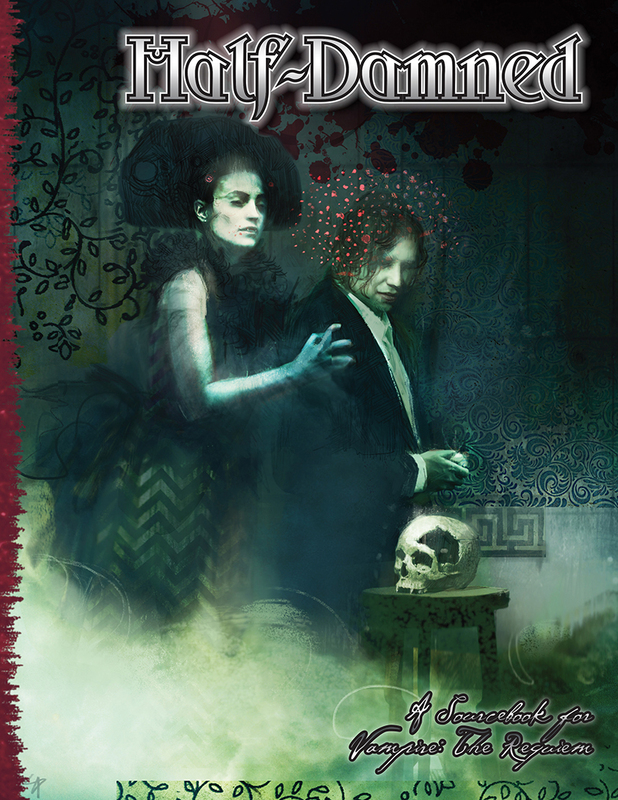 Also, the Companion is included with any reward tier including a pdf of Changeling: The Lost Second Edition. Kith and Kin is included with any reward tier including a physical copy of the book, and it is also available as an add-on for those that are only getting the pdf or the pdf+pod tiers. I hope that is helpful. Is the art coming in for Dragon Blooded the full spread or can we exspect some expanded art goals in the eventual Kickstarter? Yes and yes, I would certainly imagine there will be some art-based Stretch Goals. But some of what we did for rewards in the EX3 Kickstarter, as fun as they were, won’t be returning for the DB Kickstarter if they might add time to the production of the book. The text is done, for example, so we don’t want rewards that add more writing to the book, as we are choosing to avoid anything that could derail the book’s progress towards release. I agree with that. Some add-on rewards that many of us are very interested in are Dragon-Blooded Charm Cards as well as DB-themed dice. I understand that going for app dice seems to be more the direction you go in now (since that’s what you did with CtL), but I’m all over physical dice if possible. Another physical add-on that I would throw money on are bookmarks that have some art from the DB book and maybe some brief rules or lore info. Breaking a years-long lurking streak to say I’ve been running a Beast campaign for a few months now and both my players and I are excited to see progress on the Beast PG! We’re really looking forward to it and what it could bring to the table. No problem! Glad you’ve de-cloaked and commented! It’s a sekrit! But not for much longer…. We’ll be announcing that at the MidWinter Convention in Milwaukee about a month from now. You should totally come to the con and hear about it in person! Feels great to have Dave back on task with Signs of Sorcery! Life happens, and I hope he’s found his second wind. Looking forward to updates. Whats Guide to the Night about? Sounds to me like it’s a weird combo of a Player’s Guide and a Storyteller’s Guide. Unless of course things have changed since then and the book is something different. I’m quite curious what you are referring to about. Would that be something similar to the Storyteller’s Vault? 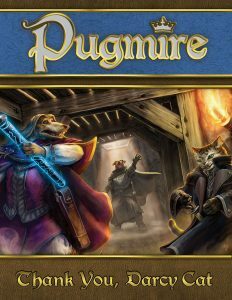 Yes, Canis Minor is the Pugmire community content program, like WW has Storyteller’s Vault and many other companies and game lines now have. We’ll be doing one for Scarred Lands after that, and Scion after that. Man, next year is going to be so freaking awesome! Hunter, Changeling, Contagion and a new Technocracy book??? The perfect things to tide me over until new Game of Thrones…and after!!! Thanks for the clarification! Still, there’s a lot on this list to look forward to, and one of the lessons to come out of Exalted 3rd edition is that Onyx Path’s product is worth the wait. So I guess all that to say that very little could dampen my enthusiasm! Big thumbs-up for that! Thanks! Errr are we getting a kickstarter for dragonblooded? When does that useually start? We seem to be in art direction now. I get if you being cautious, exalted tends to be famous for its delays. Dragon Blooded’s Kickstarter will likely be the one after the Trinity Continuum in early 2018, and you are absolutely right in that we are going to KS it only after things are well along, like with edited text ready for layout. That way, the enormous time-frame issues of EX3 can’t happen again. Is there a chance the DE2 Backerkit survey will lock down before OP goes on break for the year? I shouldn’t think so. We tend to Lock Down our BK pages when we need order numbers finalized for printing, and DE2 has not hit the First Draft stage for writing in our weekly progress reports yet. OK, understood. Thanks for the quick response. Forward? So this means that Book of the Fallen and Gods and Monsters will be coming sooner than later? Is that correct, Rich? Because if so…WOOOOOOOOOOOOOOOOOOOOOOOOOOOOOOOOOO. I know Phil has been going through some rough times of late. So, yes, they are much closer to completion than things appear on the progress report, but my meaning in that paragraph is that we pushed the artbook and cookbook so that they’d get done while Phil was concentrating on Fallen and Gods&Monsters. Which is why we have the artbook out already and the cookbook coming next week. And yes, yes he has. As is my policy, I prefer not to give specifics of our devs’ personal lives, but you are very correct there. Really interested to see some more info on Geist 2nd Ed. For the most part it seems to have flown under the radar. Any place where we can get some more info or playtest materials? I’ve heard a whispering voice telling me that another Geist 2nd preview is coming soooooon. Regarding your comments on the Changeling Kickstarter closing, do you not allow people to preorder products afterward using Backerkit? Just casually checking, both Cavaliers and Scion still have live Backerkit preorder links. Maybe you can have a section after the Drivethru and IndiePress stuff with Backerkit links for still-open preorders, or do you prefer people not order that way post Kickstarter? We do indeed use BackerKit now for post Kickstarter “pre-orders”, and that’s been working out great. But BK really isn’t an extended Kickstarter, as we don’t offer the same pledge reward tiers, and the KS is what the folks I was talking about are looking for. 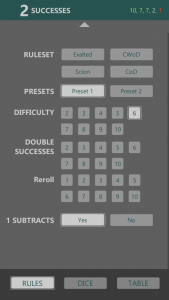 Here is hoping we get the Wraith 20 pdf in time for Christmas. My pledge was a gift from a friend of mine three years ago. I find it surprising that the Contagion Chronicle is starting 1st Drafts before Mummy 2nd Ed, given that the latter has to be accounted for by the former. Not that I’m terribly attached to Mummy as a game-line (though I hope to change that), but how will Contagion Chronicle cover Mummy-specific material if it’s begun before Mummy? That aside, I’m THRILLED to see the Contagion Chronicle being started, & doubly-so to see the Beast Player’s Guide & Geist 2nd Ed so far along in production! I managed to play in a small Geist LARP a few years back, & it was marvelous, I quite look forward to seeing what a new edition will bring. Here’s also hoping for some Beast PG previews, as I’m sure I’m not alone in craving more info about that book. For Signs of Sorcery, I remain certain that it will be well worth the wait. The previews for that have been a treat, & the quality which you fine folk at Onyx Path have shown for all of the 2nd Edition lines leaves me with no doubts regarding Signs. I understand that sometimes a great many projects can pile up at once, and that something’s gotta give. While I wish it weren’t Signs in that unenviable position, I’m confident you’re working to resolve that situation ASAP, for which I thank you. Here’s looking forward to all the Onyx Path goodness yet to come! Has there been any thoughts regarding making Scion books Add Ons to the upcoming Trinity Continuum Kickstarter campaign? I say this because they clearly share the same development, and for some it may be a worthwhile extension of each respective game line. Could there be crossovers even!?! Okay, Geist 2nd Edition, Changeling 2nd Edition, Wraith 20th Anniversary, Contagion Chronicle, Beast Player’s Guide, They Came from Beneath the Sea and Cavaliers of Mars…AAAAAH! Too.Much.Awesomeness.for.me.to.handle. Seriously, Onyx Path is truly amazing. Since The Technocracy Reloaded book stretch goal didn’t quite get reached during the M20 KS, but it’s being done anyway…does that mean we are potentially going to be seeing a Kickstarter (Since the KS said it was too massive of a book to get covered by the one stretch goal)for it or is it just getting through onto the M20 Kickstarter as a fun thing to add? A Kickstarter for Technocracy Reloaded is certainly possible, but I haven’t made a decision about it yet. Thanks! 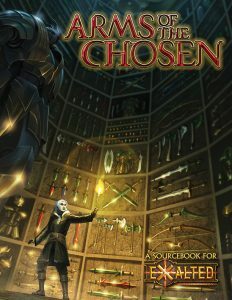 Quick question on Arms of the Chosen, will there be more to the book once it’s official releasesed? Seemed a little short on artifacts, and I know how hard it could be writing them up just wanted to ask sense it’s the early copy. And I seen on dricethrurpg that there’s like a night parade (for exalted) will that be condensed book for them or is it just splat write ups? Final question, will there be a splatbooks for each cast like in first edition? Or do you plan only on realsing good sized books. I’d just love to see more charms for performance and love reading evey pice I got. 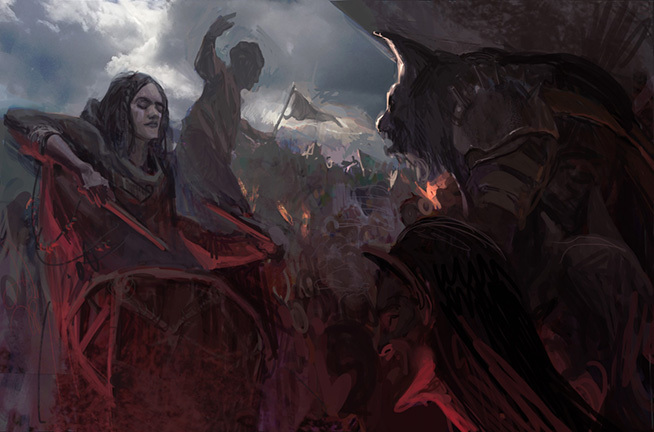 Concerning the Cavaliers of Mars Artwork, just curious if it has in fact been assigned or if it is still being assigned out and worked on (decisions, ideas, etc. etc.) as it’s been listed as such for a couple updates now. Not sure what entails in the artwork updates but I would think it can’t be easy.